YouTube delays music-streaming service launch to "get it right" | What Hi-Fi? 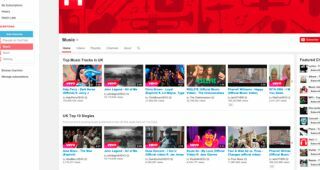 YouTube delays music-streaming service launch to "get it right"
YouTube yet to finalise plans for service – launch now expected in "second quarter or beyond"
Reports from the US suggest that a proposed music-streaming service from YouTube is still no nearer to launching. According to billboard.com, the reason for the delay has been disclosed by a record label executive. Briefed on the YouTube proposals, the anonymous executive claimed the company wanted to "get it right". It means the introduction of the service has been pushed back until at least the second quarter, despite YouTube having the necessary licences from major record labels already in place. The unnamed label executive told billboard.com: "They feel that there's just too much scrutiny of this product, and that they need to get it right out of the gate." One of the challenges facing YouTube is how the subscription model will work alongside the free channel it currently offers for finding and listening to music. A new study from Edison Research has found that more than a third of Americans aged 12 and older are using the online video platform for the purpose of watching or listening to music.